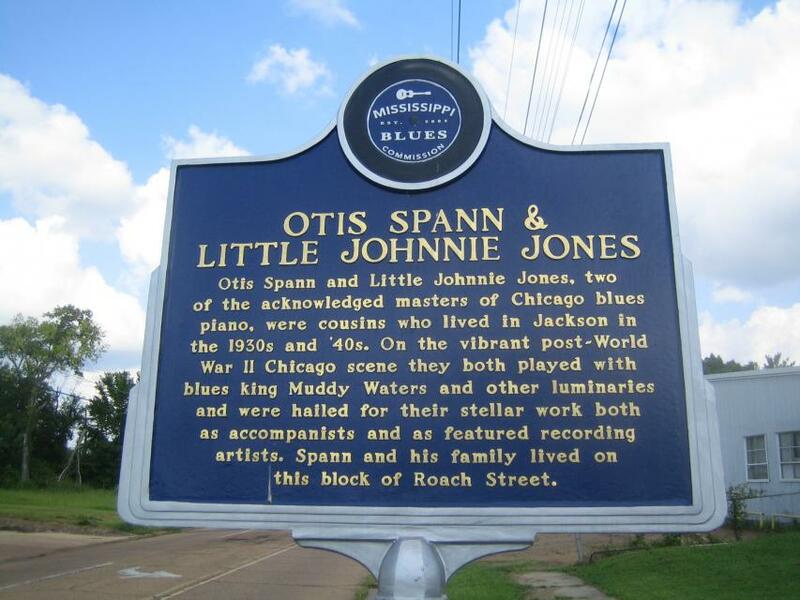 Otis Spann and Little Johnnie Jones grew up playing in church in Jackson, where they also began to focus their highly touted talents on the blues. Piano legend Little Brother Montgomery, who was based in Jackson in the 1930s and '40s, claimed both Spann and Jones as proteges, and both were also influenced later by Big Maceo in Chicago. Spann, a longtime member of the Muddy Waters band famed for his rippling piano style and stirring vocals, was the first pianist inducted into the Blues Hall of Fame in 1980. Spann had a fondness for tall tales that resulted in a confusing biography and uncorroborated stories of many exploits. His birth date was usually cited as March 21, 1930, in Jackson, but several documents and many musicians suggested he was older. Spann also told author Paul Oliver that he was from Belzoni, where he learned from pianist Friday Ford. 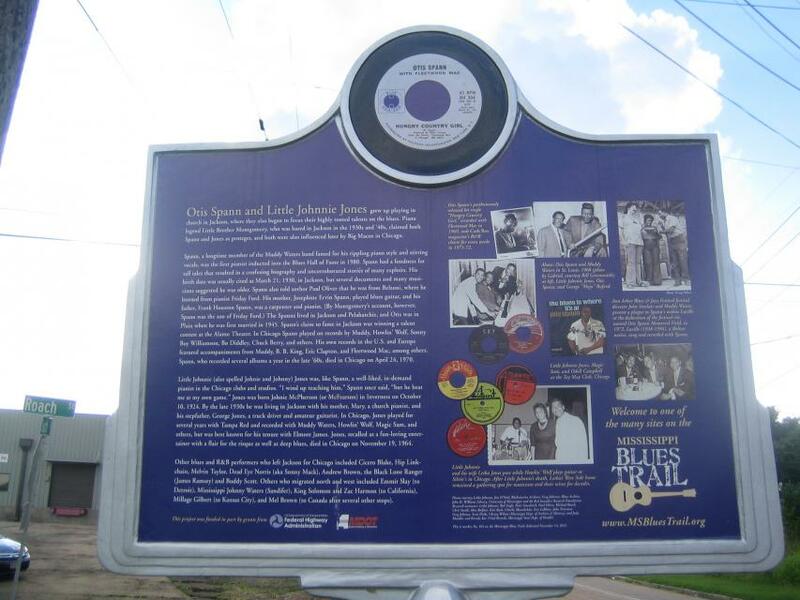 His mother, Josephine Ervin Spann, played blues guitar, and his father, Frank Houston Spann, was a carpenter and pianist. (By Montgomery's account, however, Spann was the son of Friday Ford.) The Spanns lived in Jackson and Pelahatchie, and Otis was in Plain when he was first married in 1945. Spann's claim to fame in Jackson was winning a talent contest at the Alamo Theater. In Chicago Spann played on records by Muddy, Howlin' Wolf, Sonny Boy Williamson, Bo Diddley, Chuck Berry, and others. His own records in the U.S. and Europe featured accompaniments from Muddy, B. B. King, Eric Clapton, and Fleetwood Mac, among others. Spann, who recorded several albums a year in the late '60s, died in Chicago on April 24, 1970. Little Johnnie (also spelled Johnie and Johnny) Jones was, like Spann, a well-liked, in-demand pianist in the Chicago clubs and studios. "I wind up teaching him," Spann once said, "but he beat me at my own game." Jones was born Johnie McPherson (or McFearson) in Inverness on October 10, 1924. By the late 1930s he was living in Jackson with his mother, Mary, a church pianist, and his stepfather, George Jones, a truck driver and amateur guitarist. In Chicago, Jones played for several years with Tampa Red and recorded with Muddy Waters, Howlin' Wolf, Magic Sam, and others, but was best known for his tenure with Elmore James. Jones, recalled as a fun-loving entertainer with a flair for the risque as well as deep blues, died in Chicago on November 19, 1964. This marker can also be identified by its HM code. You can use the hashtag #HM1JRZ in tweets, and any other place where you might refer to this marker, including when searching on this site.